Dentistry for your entire Family! We are a brand new Dental Clinic located in Panorama Hills, Calgary NW (Northwest). Our mission is to provide everyone with a worry-free dental experience. Patients who visit our dental clinic, Calgary NW, AB, are relaxed, cared for, and satisfied with whatever their dental needs may be. If you’re not happy with your natural smile, our NW Calgary Dentist will ensure that you get what you truly deserve. From emergency dentistry same-day visits, to evening and weekend hours, we work hard to ensure that you are taken care of! 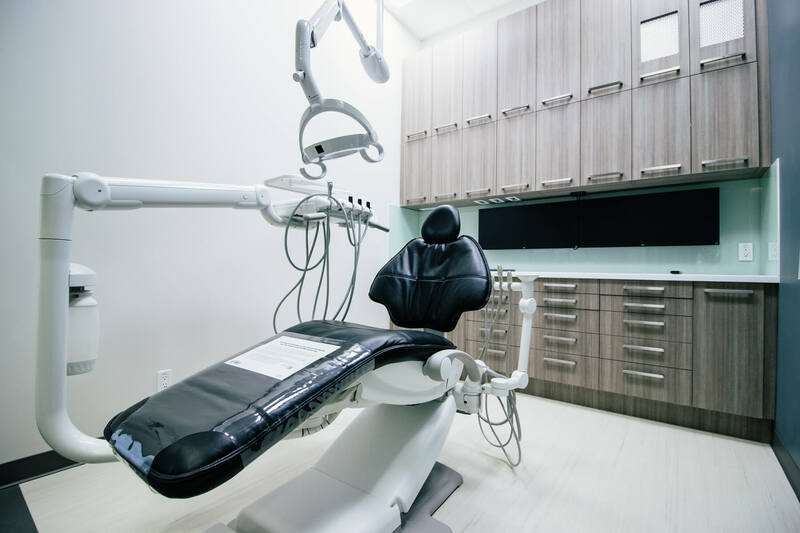 Our dentist provides a wide range of dental treatments in Calgary NW to fit your needs along with a friendly attitude, inviting office and all the little details that help make every visit truly special! Whether you are one or our patients or a new patient, we are always ready to help treat your dental emergency. Whether it’s a simple cleaning or a complex treatment, we can help you keep and maintain great oral health for life. Your dental needs shouldn’t stop your life, that’s why our office strives to provide you with convenient hours. We follow the 2019 Alberta Fee Guide so you can be sure that our prices are fair and reasonable. Meet our Panorama Hills Dentists! Meet our dentists, Dr. Jagatjit Dhillon, Dr. Amardeep Gill, and Dr. Aaron Mah. Both Dr. Dhillon and Dr. Gill are graduates of the University of Saskatchewan, College of Dentistry. They have been practicing in Calgary since 2001 and 2002 respectively. We are excited to welcome Dr. Mah to our team. He graduated from the University of Manitoba. Their practice philosophies are very similar. All of our doctors strive to ensure their patients are treated with respect, educated in their oral health, and comfortable throughout any dental procedures they may need! Our Dental Now Panorama General Dentists are here to provide you and your family with any dental care services they you may need. We help you stay proactive about caring for your dental health. One of the most important preventative tools we have to offer is Dental Hygiene. Our Dental Hygienists will spend time getting to know you and your mouth, providing you with the tools and knowledge you need to maintain make sure your oral health is at it's best. Our Dental Now Panorama General Dentists are here to help provide your entire family with dental care services. We believe it's critical to help educate your children on the importance of taking care of their teeth for the long run! Myobrace Treatment addresses the poor oral habits that are the real source of crooked teeth instead of just straightening your teeth using regular metal wires. This treatment uses a plastic trays which have been proven to provide a dual function of correcting bad habits that hinders dental development, and also helping teeth move into their natural position. Created in 1999 by Align Technology, Invisalign seeks to change your smile without the need for braces. Invisalign makes this possible with the help of smooth, comfortable and replaceable custom made plastic aligners. These aligners use gentle pressure to move teeth into the right place up to 2.3x faster than braces! Take care of your teeth today! Dental Now Panorama follows the 2019 Alberta Dental Fee Guide! 2019 Alberta Dental Association General Practitioner Fee Guide. Here at Dental Now Panorama, we firmly believe that your finances should not stand in the way of your oral health. To help keep dental care affordable for all our patients, our dental office has partnered with Pay Bright Financial Services to offer flexible financing to all of our patients whenever they need it!